September is national Women’s Health and Fitness Month. While every month should be a month of health and fitness for every woman, September is a dedicated time to learn about your health risks and ways to improve your health and fitness so that you can improve your quality of life and reduce your risk of disease. 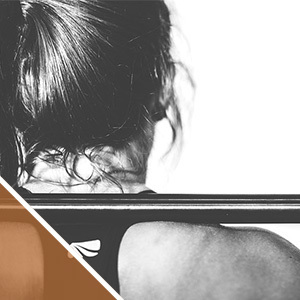 Whether you are a veteran bodybuilder or new to the fitness scene, Forge Rx wants to help every woman (and person) reach their health and fitness goals. 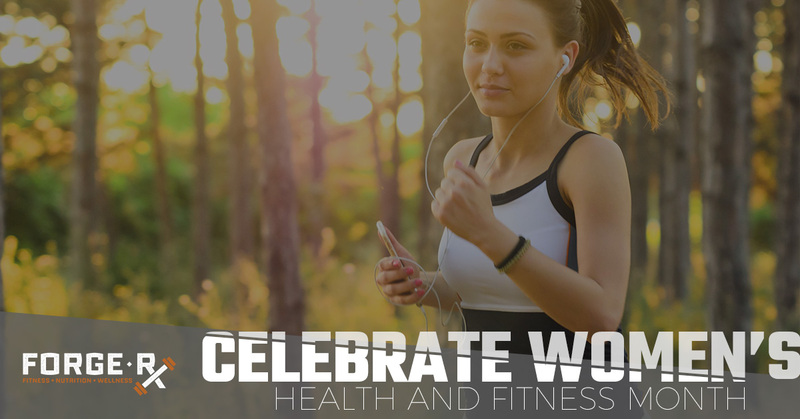 Here are a few ways you can celebrate women’s health and fitness month. Whether you already workout regularly or you live a sedentary lifestyle, make a commitment to yourself to workout this week. We recommend grabbing your favorite gal pals and checking out a group fitness class. Find something that you have thought sounds fun or interesting or something that you haven’t tried before and get sweating together! Not only will the workout empower you, but you may find something new you enjoy and you and your girlfriends can encourage each other to continue on a more active path — now you have a new hangout! At Forge Rx, we offer a variety of group fitness classes to choose from, try out a few! Many people are completely unaware of their own personal health risks and don’t seek help or treatment until they feel the symptoms. Women are more prone to a variety of chronic diseases and are just as prone as men to others. Identify your health risks based on family history and lifestyle and educate yourself on prevention and early detection. Make an appointment with your physician and ask for recommended preventive screenings based on your age and risk factors. Encourage all the women in your life to do the same. Nutrition is a big factor in overall health and wellness. Do an honest inventory of your eating habits and nutrition. Clean out your pantry of all the unhealthy food you have, it will help improve the nutrition of your entire family! If you identify unhealthy eating habits, make small changes to seek a healthier nutrition status. If you are unsure about what is healthy or how you stack up, you can seek the advice of a nutrition coach. At Forge Rx, we have expert nutrition specialists who are passionate about helping people find healthier eating options that fit their lifestyle and preferences. If you have been looking for a sign or a reason to begin your wellness journey, September’s focus on women’s health and fitness is the perfect excuse! If you are not sure where to start of what steps you should take to find your optimal wellness, stop by Forge Rx. Our fitness and nutrition coaches are dedicated to helping each of our members reach their total wellness goals. You’ll find all the support you need to begin your health life. Contact us for more information or to get started today!